Düsseldorf-based Ingenhoven Architects and Australian practice Architectus have won a competition to design a 79-storey skyscraper for Sydney, set to become the city’s tallest building. 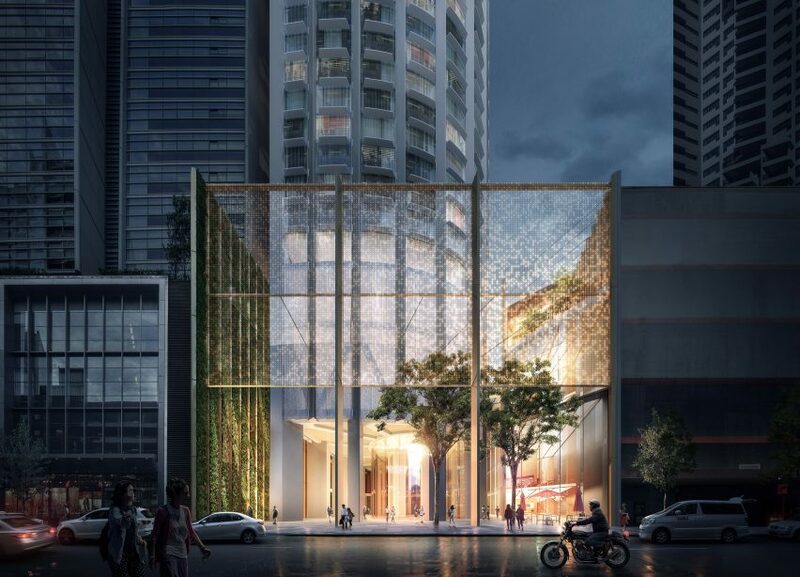 The architects won the invited competition to design the tower at 505-523 George Street, in downtown Sydney, from a shortlist that included SOM, Wilkinson Eyre, Foster + Partners, FJMT and Bates Smart. It is being built for developers Mirvac and the Coombes Property Group. 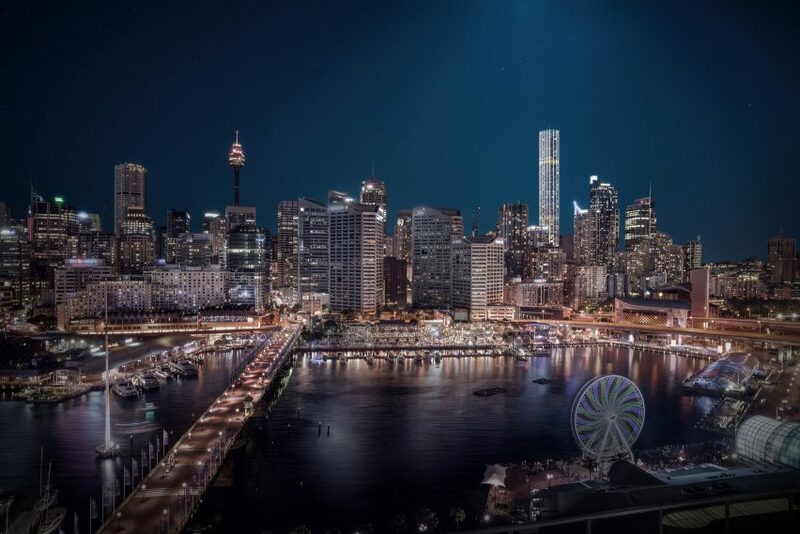 With a height of 274 meters, the tower will stand taller than any of the city’s current buildings, surpassed only by the 309-metre high Sydney Tower observation point. 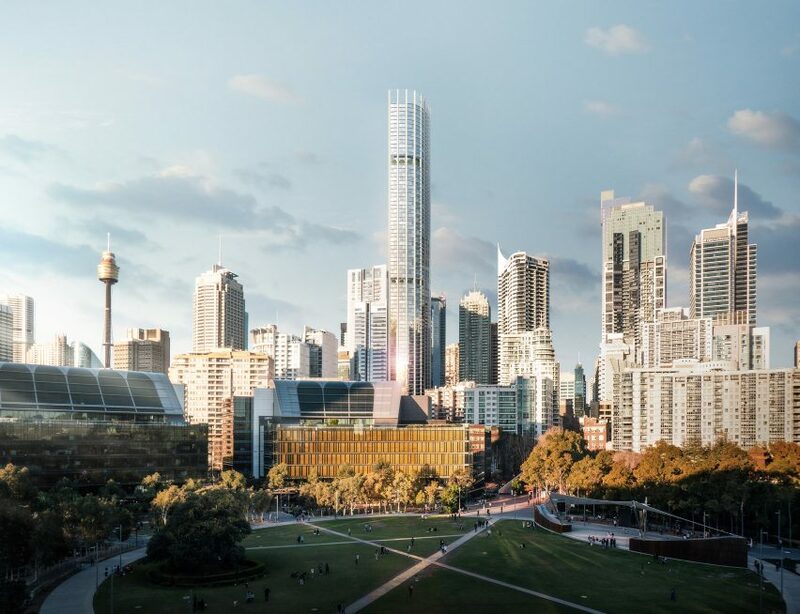 It will take the title of Sydney’s tallest building from Crown Sydney, a casino resort designed by Wilkinson Eyre, which is under construction and set to be 271 metres tall when it completes in 2021. 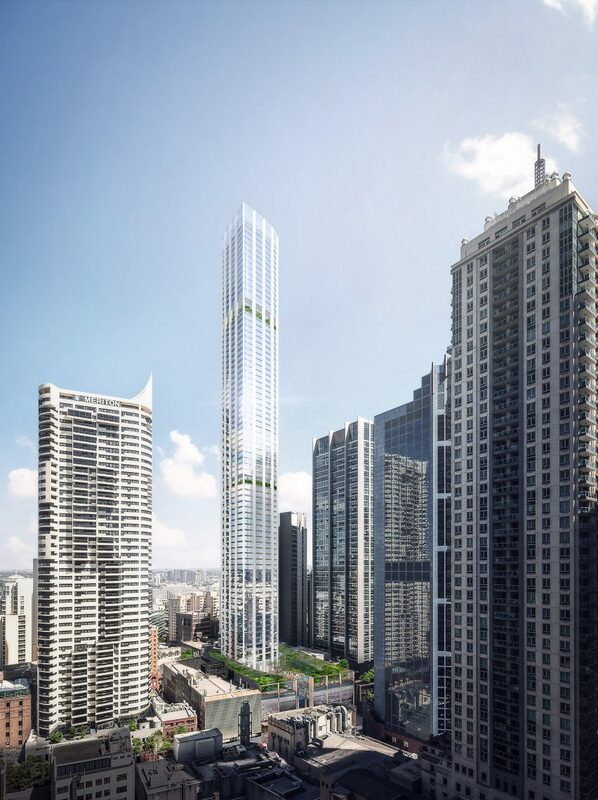 “The winning entry is a 79-storey signature tower, which, as the highest residential building in Sydney, will be a profoundly visible landmark standing for an economical, environmental and socially sustainable, future-oriented development,” said Ingenhoven Architects in a statement. The slender tower will contain 480 apartments, behind a single-skin facade with external sun-shading devices between each storey. On the north facade, these devices will incorporate photovoltaic panels. Greenery will feature in many areas of the skyscraper. For example, the 35th and 64th floors will boast communal areas with open balconies, complete with trees that will be visible on the building’s facade. 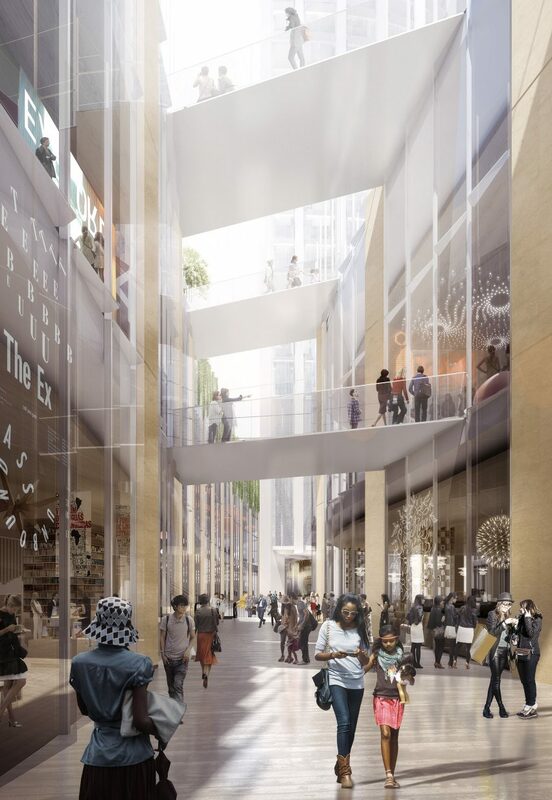 The tower will also be topped by a roof garden, while a three-storey building adjoining the skyscraper – containing a supermarket, shops, a childcare centre and cinema – will also have a large green roof. At the front of the building, a small plaza will be protected by a glazed windscreen. “[We are] designing a tower which will be highly integrated in the existing surroundings and offer a great public domain,” said Christoph Ingenhoven, founder of Ingenhoven Architects. Rogers Stirk Harbour + Partners recently completed three new skyscrapers in Sydney, at the nearby Barangaroo development. Grimshaw is also planning a new high-rise in the city, to create office space to appeal to the “millennial worker”. Visualisations are by Ingenhoven Architects and Doug and Wolf.